All vehicles can be fully prepared for MOT Tests. Rovertune Limited can undertake any repairs, including welding that may be necessary to pass an MOT inspection. 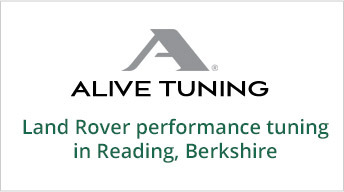 We do not carry out the MOT test at Rovertune Ltd, they are undertaken by an Independent MOT testing station. There is a reason for this. Some people have an impression that a vehicle can be failed in order to provide the testing garage with additional work, especially when some offer tests free, or at very low prices. Vehicles must not be failed unless fully warranted and regular inspections by DVSA Inspectors are carried out to avoid this happening. The Independent MOT testing station used by Rovertune Ltd has no incentive to fail a vehicle as it does not gain work as a result, any failure rectification work is undertaken by Rovertune Ltd and the vehicle then returned for re-test and the issue of a pass certificate.